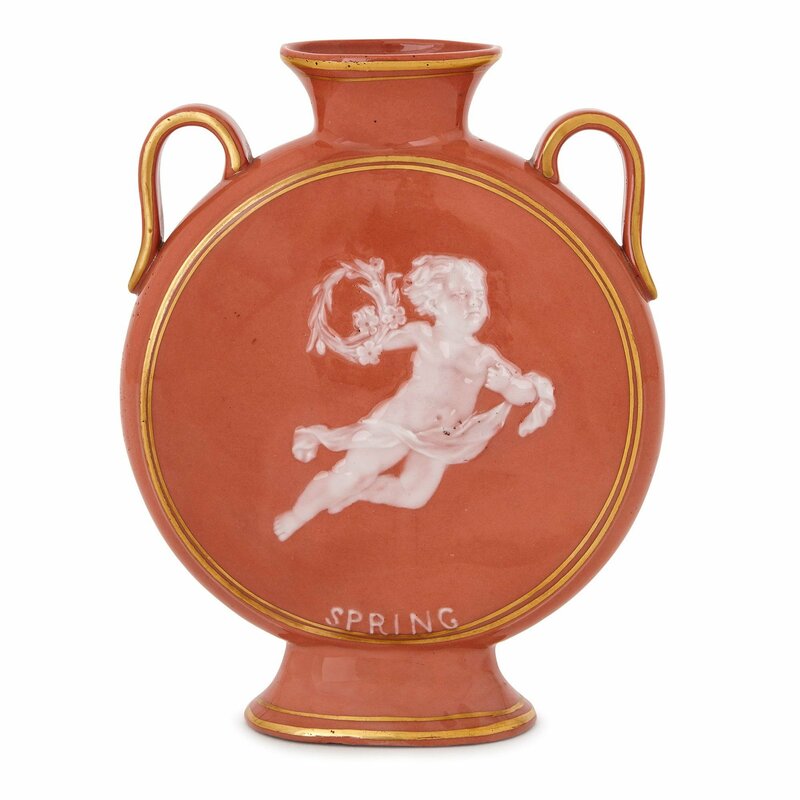 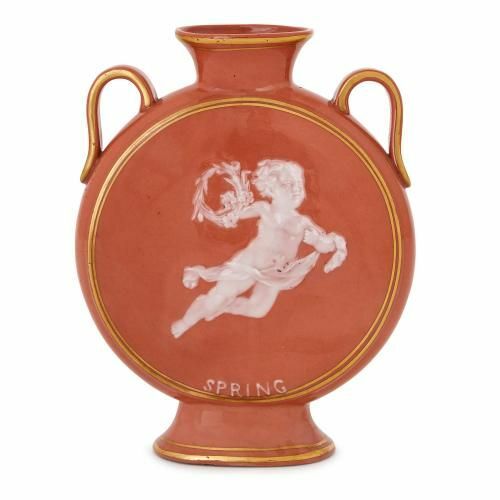 This antique porcelain vase features a stunning depiction of a flying cherub, created using the technically sophisticated pate-sur-pate technique. 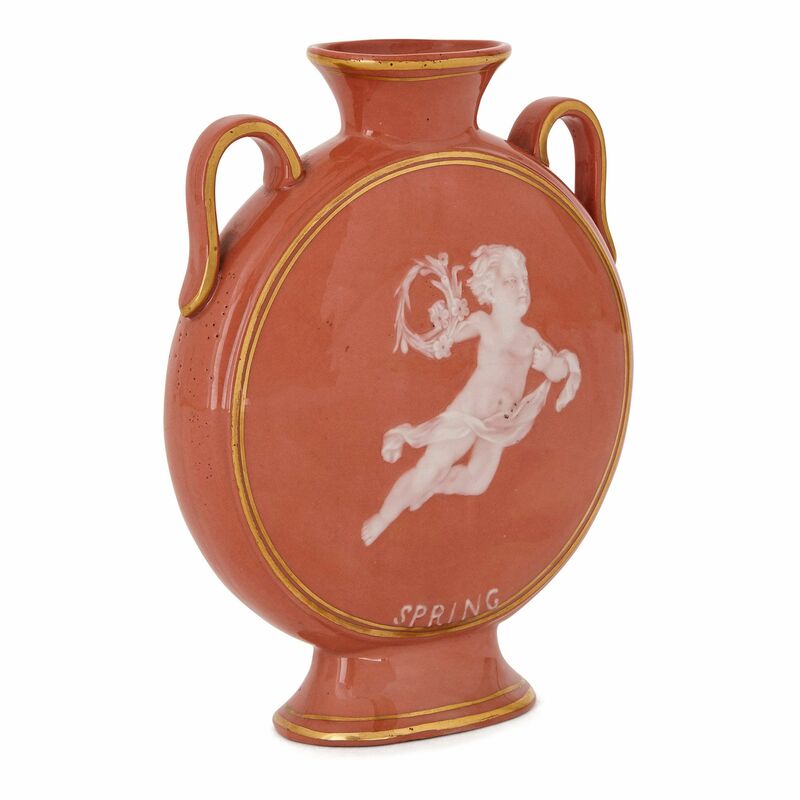 The vase takes the form of a circular flask on a stand with twin handles and a flared neck. 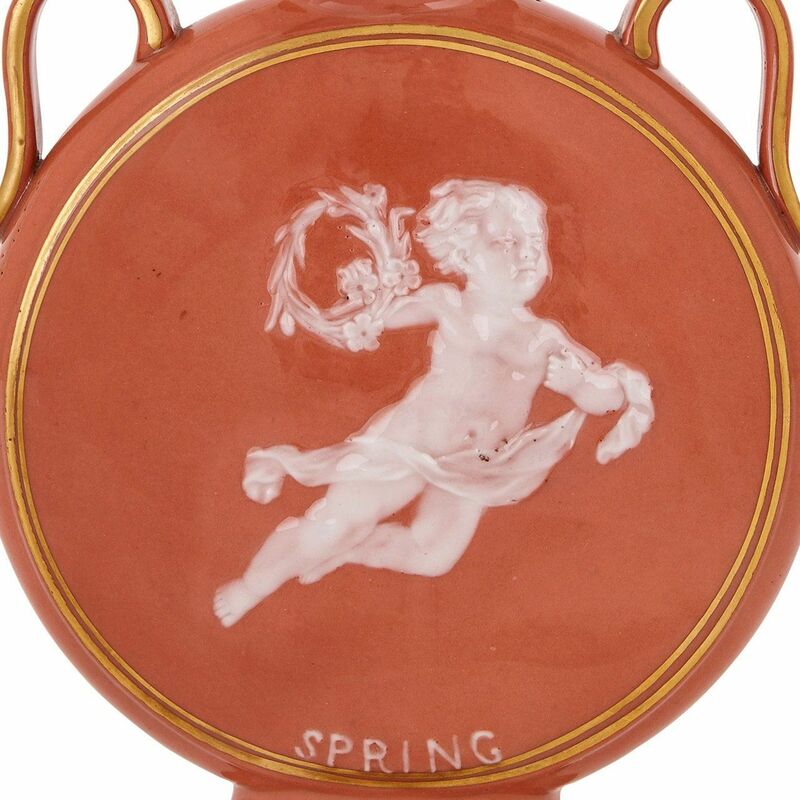 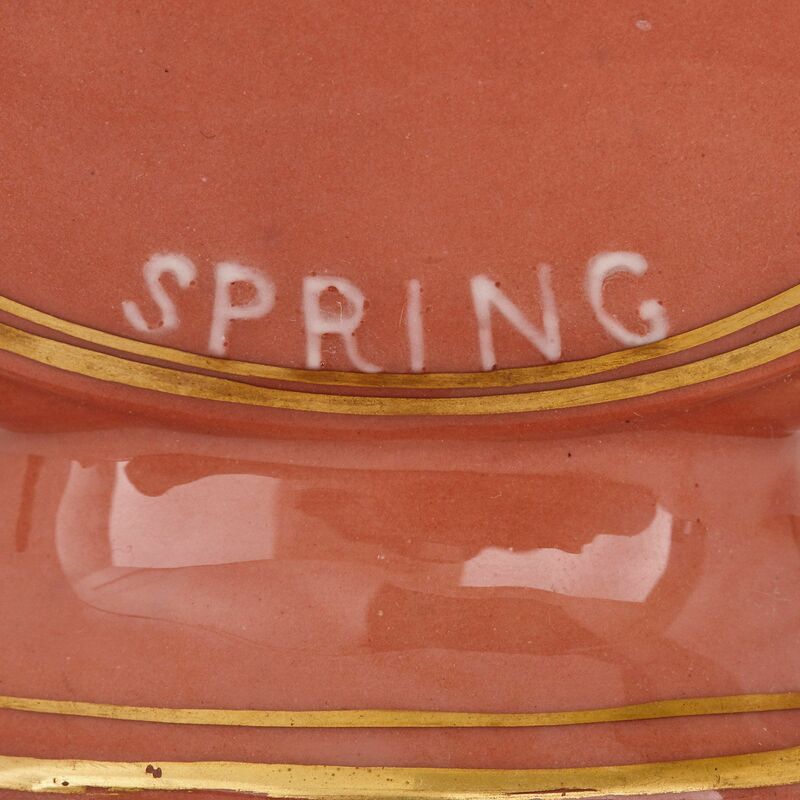 The body of the vase features gilded highlights around its edges, and the circular body is decorated with a pate-sur-pate depiction of a flying cherub in draped clothing and holding a laurel wreath, above the word 'SPRING' written at the bottom. 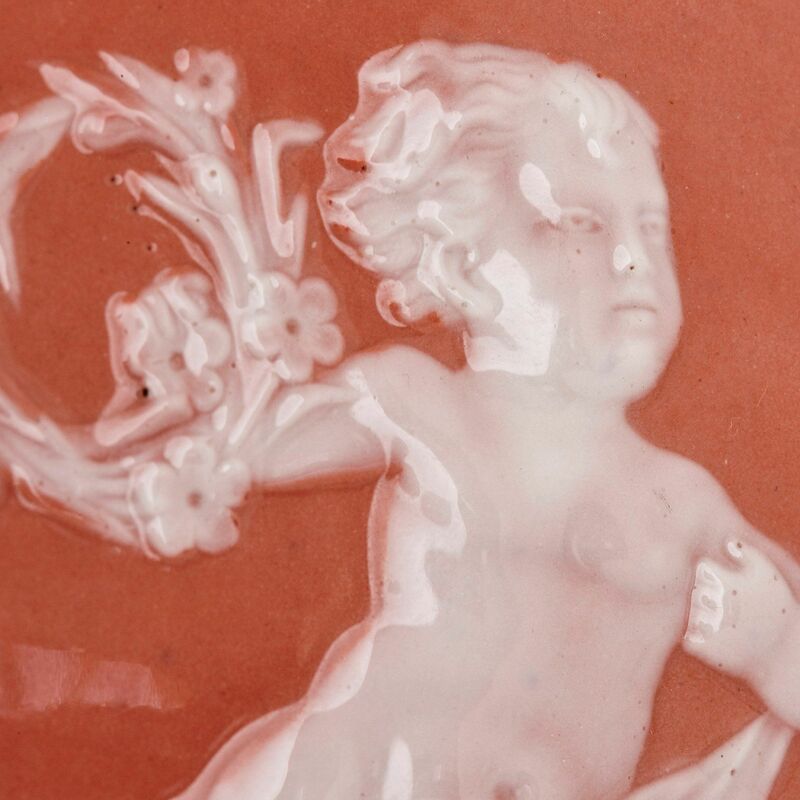 The pate-sur-pate technique involves applying a relief design onto the unglazed surface of porcelain by hand, giving a translucent, textured finish.